Wouldn’t you like to enjoy your next event? 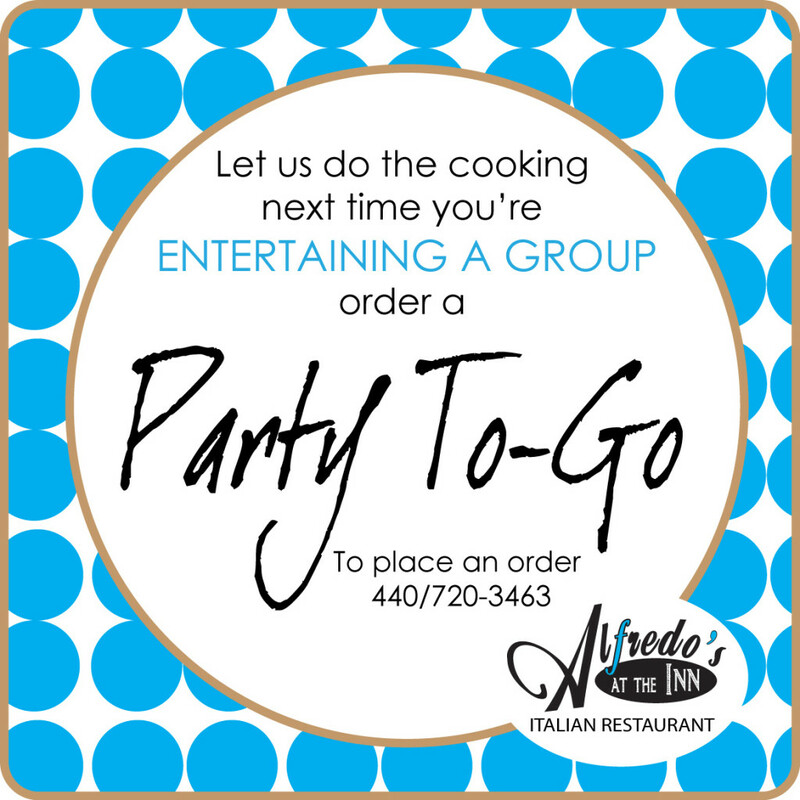 Let Alfredo’s at the Inn take care of the cooking for your gathering at the office or at home. We’ve been in the neighborhood for 40 years, and we’ve become the go-to source for your Italian favorites. All items are packages buffet style and beautifully presented in disposable containers. Copyright © 2017 Alfredo's at the Inn Italian Restaurant. All rights reserved.